For 25 minutes twice a day I travel back and forth to my office, a labor of love if I must confess. I enjoy the pleasure of traveling a scenic blue highway consisting mostly of wooded forest and rolling (former tobacco) farm land. All in all a very relaxing commute conductive to solitude and reflection with very little traffic to contend with and a heavy trooper presence to keep the speed down to a more sane and leisurely pace. One can find inspiration wherever one looks, but I find some places more inspiring than others. None of the farms I pass continues to grow tobacco, an expected outcome of the Tobacco Master Settlement Agreement which precipitated various ‘tobacco state’ buyout programs. But a very visible remnant of this once thriving economic activity are scores of abandoned tobacco barns, most previously used to air cure harvested tobacco leaves before bringing them to market. While I imagine the locals pay little attention to these hulking sentinels of a past life until suddenly they disappear from the travelers’ line of sight, crumpled into a haphazard pile of rotting debris, for several years now I’ve been witnessing the relentless and ongoing disintegration of these structures. And I see their inevitable destruction as just one small part of a long and convoluted process that is very similar to the coming end of the developed world’s global fiat empire. Even the eventual (some might say inevitable) failure of both the decaying barns and the global fiat empire do not represent the end, but rather the beginning of the end of this cycle, to be closely followed by the rebirth and renewal (but not necessarily the duplication) of the next. This has led me to think about the widely used term ‘collapse’ when discussing the future of the present day socioeconomic system. Collapse infers that there is an end point, a firm and definite finality, a full stop which in my opinion doesn’t properly sync with the fact that life will carry on, even though the music and dance steps have (radically) changed. Thus the word ‘crumble’ seems more representative of the actual process underway. To the casual eye very little appears to be happening to these decaying barns for years at a stretch. But if one watches closely and looks for incremental change, very soon one notices some newly deformed or detached wall boards here, additional missing roof shakes there, a barn door ajar and swinging in the breeze or maybe a window sill sagging, the window glazing gone and the panes of glass long since fallen from their sash. Depending upon the pace of the decay and possibly a sense of wasted investment or unrealized potential, the absentee owner might feel compelled to perform some rudimentary repairs in order to stave off what appears to the casual observer to be a case of imminent collapse. But once the roof and sides are punctured in several places and fundamental structures are exposed to the elements, the decay accelerates exponentially. More and more roof shakes go missing, rafters fall away and the ridge begins to sag while entire walls bulge and ripple. If you’re lucky to be passing by at the particular moment of rescue you might catch a glimpse of the owner, pickup truck backed up to the long unsecured opening, removing any salvageable property that remains within the structure. This is the sign, the ‘tell’ if you will, that the end is truly near……at least in the mind of the owner. And yet the barn still stands for months, years even; leaning precariously to one side or another, large sections of the roof long since fallen in, half its wall boards missing, heavily overgrown with vines and brush and inhabited by wildlife who’ve taken refuge from the elements. Then one day you notice something missing from your routine passage. Not sure at first exactly what it is that you sense is wrong, suddenly you realize that what was once there is now gone. Or at least what appears to be missing is actually still there, only no longer in the shape and form you remember. Overnight it has been reduced in size and shape to a far smaller, more compact pile of wood and assorted detritus. Was it a gust of wind, a breaking timber or a landing bird? One can only guess in what form the straw came that broke the barn’s back. Actually, it would be far more accurate to say that where once a severely degraded shell of a formerly vibrant and productive asset existed (its supporting structures and various subsystems degraded far beyond any semblance of productive utility or structural integrity) now there is a weathered skeleton no longer able to support what little remained of itself and quickly subsided. Not exactly a collapse in my book, but most people would disagree and over simplify it by calling it one. Of course the reader might also accuse me of an oversimplification as well and s/he would also be correct. In my defense though I just wish to examine collapse in its simplest physical form and work from there. In reality, unlike the old unused tobacco barns our economic system is not abandoned, at least not yet. Rather, while ruthlessly used and severely abused by the elite, the present socioeconomic consensus reality contains one active ingredient the abandoned barns do not……in spite of what is clearly a rapidly decomposing financial and political system, you and I (and increasingly the general public) still maintain a somewhat desperate faith and belief in its past success and future functionality if only the rot could be exorcized and the structure rebuilt. However, unlike a complicated mechanical device where breakdowns can and will occur with increasing frequency as complexity and age increases, hope, faith and belief are powerful emotional engines not constrained by physical limitations. And equally important they are fueled by a seemingly unlimited energy source, thus they can and will continue to operate long past their seemingly obvious fail date. Or to put it another way, unlike the abandoned tobacco barns, our socioeconomic culture (into which all of us are seamlessly embedded) embodies tremendous momentum of prior belief which in turn propels, energizes and validates (oftentimes false) hope, faith and belief in the present and future of our obviously failed economic structure. We want to believe, even if we claim we don’t presently believe, and this emotional energy alone is enough to support the structure, if only for a while longer and despite (seemingly) vital components and subsystems falling off or rotting away. This helps explain why we exuberantly overshoot to the irrational upside, then quickly chase it all back down with an emotional hangover. Modern day markets, currencies and economies may be manipulated and moved by external forces, but they also appear to be moved by (among other things) the rise and fall of the herd’s faith and belief. The question appears to be a chicken or egg query, though it really isn’t. Does social mood move the economy or does the economy move social mood? It seems to me that it is neither, but rather both. There is an ebb and flow back and forth in a positive feedback loop. One cannot exist without the other, with both dependent upon one another. This interrelated dynamic is constantly dismissed or simply ignored as not relevant or immaterial by the mainstream propagandizing economists and by much of the contrary crew primarily because our socioeconomic culture is considered an ‘economechanical’ (economy mechanical) machine rather than a ‘living’ organism. The economechanical economists claim that our socioeconomic system is a mathematically driven financial machine that influences (some say controls) we humans rather than seeing it as complex organisms in a symbiotic but extremely dysfunctional relationship. The tobacco barns are physical structures and thus subject to the physical ‘laws’ of the present day consensus reality universe. (Many of the natural ‘laws’ of our current worldview are actually well established and widely believed assumptions and beliefs, a subject I will expand upon in a future article.) Presently those physical laws as we know and believe them do not require faith and belief as structural components in order for the physical barns to remain standing, at least not within the scope of this article’s discussion. The same cannot be said of our culture and its economy. Interestingly while the mainstream economists view the socioeconomic system as mostly economechanical, they do publicly acknowledge the critical hope and belief component of the structure. Thus they dare not say with their out loud voices that the emperor has no clothes, for then the evident will truly become patently obvious and the plausible lie will no longer appear functionally believable. Still, while they recognize the power of our faith and belief, they say that this emotional force is created by the system and not the reverse. We are seen as just one of several mechanical components of their economic engine, subject to incentives and stimulus, herded and corralled by interest rates and taxes, as reality consumers rather than the all powerful reality creators we truly are. But make no mistake about one irrefutable fact. The top of the elite, the true puppet masters, know full well who and what we are and how dangerous we are to them if we were to recognize our full potential and take our leave. This is why we are manipulated and enslaved, bottled up like a nuclear reactor. While safely contained we produce consistent and manageable power to run their machines of commerce and consumerism. But released from our restraints and freed to create reality unhindered by our self limitations we are all powerful and no longer controllable. The manipulating force that distorts our socioeconomic system and its ultimate binding force, the super glue that holds it all together and enables our collective self enslavement, is self evident and entirely esoteric. I am, of course, speaking of the fear based mind control system of the contrived scarcity money meme, the central vehicle used to compel our ‘willing’ participation within the socioeconomic system. Ultimately currency, widely seen as ‘money’ by the herd and vice versa (thus both words will be used interchangeably in this discussion though there is a distinct difference) is entirely esoteric in nature, without true form or physical structure other than those fancy colored paper symbols in our wallets and electronic one’s and zero’s on our statements that are used to represent a non physical psychological and emotional construct. The same can also be said about Gold and Silver which are commanding and enduring symbols of the money meme. 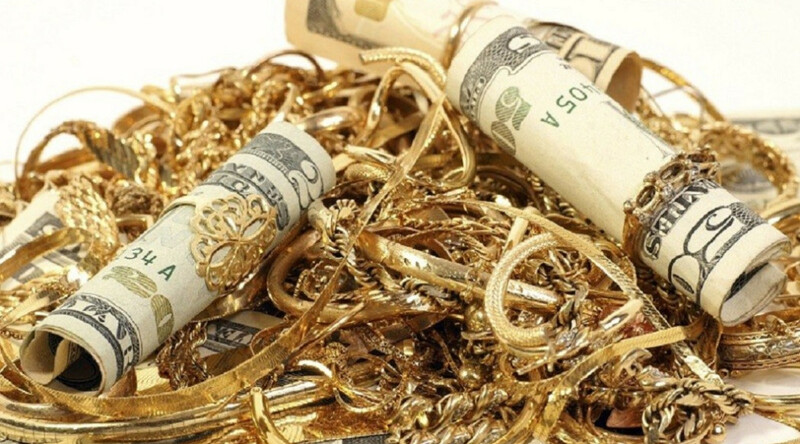 While Gold and Silver may present in physical form as opposed to un-backed fiat, which is mostly accounted for by numerical journal entries with only a small percentage of the total actually represented as paper currency, Gold and Silver are still just symbols. However, unlike fiat, which comes and goes every few generations, for thousands of years the precious metals have consistently been powerful attractors upon which we focus our energizing faith and belief. Their physical form, their luster and glow, their primeval allure can for many people be absolutely mesmerizing and speaks to an unknown energy, power and even spiritual magic that the economechanical magicians have trouble publicly acknowledging, let alone modeling. But they do recognize this primeval power and they are desperate to capture it by redirecting that power towards their flaccid fiat. In my opinion this is why the fiat fakers will often use Gold and Silver to initially back their latest fiat creation, and then strip it away in order to extort the greatest amount of leverage from their wage slaves. Only when they have no choice will they reinstitute a precious metal backing to their worthless fiat, and then only to reset the meme and start it up all over again. One may not be able to totally control the wild (human) beast, but one most certainly can cage it. The length and degree to which the fiat mongers attempt to demean and dishonor Gold during the latter stages of their currency debasement says all that needs to be said about Gold’s base power, meaning our base power. That said, and regardless of whether or not we believe Gold and Silver to be honest money and the basis for sound money policy (remember in Chapter One my discussion about ‘good’ money meme components many wish to resurrect or maintain while ignoring the overall debilitating effects of the money meme itself?) the monetary precious metals are still just (significant) symbols of the overall money meme. They are not washed clean of their money meme mind control function simply because they are considered beneficial to humanity overall and to us as individuals. They remain symbols, powerful though they may be, of the money meme. Without fully realizing it we are all guilty of conflating money and/or currency, the primary symbols of the mind control money meme, with what money is used to create, enable or activate, meaning residential and commercial buildings, road and bridges, couches and cameras, intellectual property and all the other ‘real’ things that are formed from mind and matter. The total and seamless integration of the money meme into our culture is designed to confirm and leverage the faith and belief we bestow upon the esoteric concept of ‘money’ by conflating it with the ‘real’ solid reality we use money to create. This is very deliberately done through propaganda and conditioning via education, beginning with our parents and extending through all levels of primary, secondary and graduate school, as well as through predictive programming and meme affirmation by way of movies, television and advertising and so on. By extension, we are also conditioned to bestow our faith and belief upon the high priests and puppet masters of the money meme through adulation, worship and subservience to authority and power, which in turn is conflated with money and wealth in an endless positive feedback loop of alchemical abomination creation. In effect we are all turning mental lead into fiat Gold; only the fiat is Fool’s Gold for those who are left holding it when the bottom begins to fall out of the Fed’s misdirected faith and belief confidence racket. This speaks again to the ultimate power of physical Gold and Silver as vessels of our faith and belief and why those who wish to control us so desperately want to siphon off or redirect some of that power to energize their own controlling fiat. If we are to be totally honest with ourselves we must accept that Gold and Silver are simply more perfect vessels into which we direct our faith and belief compared to the un-backed fiat currencies. It is still a fear based mind control contrived scarcity money meme even when precious metals are used to ground our faith within the meme. Using Gold and Silver simply means the meme cannot be as easily hijacked or leveraged by others (as opposed to fiat currencies) precisely because our faith and belief is so strong when using the precious metals. By extension, a precious metal backed currency is an extremely powerful controlling meme in its own right. It is not ‘pure’ just because its backing is a highly pure and refined element. Recognizing and acknowledging this does not diminish our power. What it actually does is it disarms and delegitimizes the predators that prey upon us if we embody this knowledge and understanding. Is it money/currency that makes all those real things ‘real’ or is it those real things that make money/currency appear to be real? Since we perceive currency for what it can be used for and not for what it really is, which in reality is just a concept, a mental construct, a meme, then its ultimate value (which is shorthand for form and function) is based entirely upon our faith and belief in ‘it’. We intuitively know this to be the truth when we speak about the various central banks debasing their currency, which ultimately means that the central banks are destroying any of our remaining residual faith and belief in these particular money meme symbols (the dollar, euro etc.) which they have utilized to enslave us. Our innate and naturally occurring power energizes and activates their dead fiat currencies, and not the other way around. But the powers that be and their central bankers are loath to admit this to us because this true fact, if widely known and understood, would instantly delegitimize them in the eyes of nearly all but the most subservient. We contrarians argue that the monetary system cannot last much longer in its present form because the numbers just don’t add up, that it is being artificially propped up, otherwise it would have collapsed long ago. Over and over again we present charts, graphs, statistics and historical testimony to ‘prove’ that the economic system’s days are numbered and that the end is near. And yet the system continues to persevere, to prosper even…..at least for some participants. We declare that if only the slumbering minions would wake and recognize that they and their fellow codependent economic slaves are in deep doodoo, that the financial system would be exposed for what it really is……a corrupt system of extortion and slavery. (On a side note we must ask ourselves why anyone would possibly want to wake to the above described nightmare.) We understand that the status quo is maintained by the ignorance or apathy of those we claim to be asleep; otherwise we would not say this. Doesn’t that declaration alone make the case that it is the (sometimes blind) faith and belief of the herd that perpetuates the present paradigm and not the desperate economechanical machinations of the controllers? That the economic numbers are manipulated in order to maintain the faith and belief of the herd in the system and not to maintain the actual system? In our material culture complexity infers credibility and belief. Maybe we need to see this from another point of view. We consistently fail to recognize that math and science are simply intricate (and at times deeply flawed) descriptions of our perceived realty, and not the actual reality itself. And that our perceived reality as described by math, physics and science forms the bedrock basis of our overall worldview and of our economic system. Because we tend to confuse or conflate math and science with reality itself, or at least we believe that the sciences accurately describe reality, thus reality appears to reinforce the validity of the description in a self reinforcing perpetual motion meme, when an esoteric ‘reality’ (such as economics) is described, presented or explained in mathematical and/or scientific language, we tend to believe that the esoteric reality is real as well. We have been indoctrinated and conditioned for decades, for centuries really, to trust the offered descriptions as real, as a genuine reality, as a truth, rather than to trust our own experience, common sense and inner knowing. In effect the economechanical magicians have convinced us (all of us to some degree or another) to alter our perception to match their description. This is how we are manipulated, by convincing us to disbelieve our lying eyes. This easily explains how the present day leveraged fiat socioeconomic system has been able to endure so much longer than many people thought possible based solely upon the obvious unsustainability of the present day financial reality. The elite economechanical magicians (aka the top tier economists and central bank barons) use incomprehensible-to-the-layman (and to each other) math and science to describe why the system has indeed survived (aka the new normal) thus closing the faith and belief positive feedback loop. When only a few dozen individuals can successfully claim that they understand how a (faith and belief) socioeconomic system functions, and more importantly how to ‘fix’ the system, while the remaining 99.99% are told that all is well, that the system will be just fine if only we would do this or that, to just trust them, then we have fully crossed over from examining and describing a complex economic entity and into a religious socioeconomic cult based solely upon faith and belief. I am constantly amazed, but not really surprised, by the degree of back peddling, amending, correcting and restating that occurs in all of the sciences, with economics leading the way these days. “Yes I know we once said that this (fill in the blank) was bad, but in the new normal this is now good. The proof that this change is good is that the system continues to operate and even prosper, so you should believe this now and not that.” I just love circular logic that feeds my confirmation bias and triggers those soothing endorphins. Yet amazingly we as a society continue to believe in these seriously flawed descriptions primarily because they are promoted by so called experts and authorities and because we as a group and as individuals are so deeply compromised by our addictions and dependencies that we have become infantile pawns. Either we believe what we are told, regardless of how preposterous or ridiculous it may be, or we reject it and suddenly we are on our own, totally responsible for ourselves and, if we have family or close friends, several others. This applies to all of us, particularly the educated professional class who are even more dependent upon the present day socioeconomic system to function so that their elevated status among the other wage slaves can be maintained. The house slaves are usually better fed and clothed if nothing else. If the high priests of the various science and financial cults were to suddenly declare that they know not what they do, who is going to tell me what to think, say and most importantly do. In a culture that gloriously worships conformity of the individual and craves affirmation from our masters above, we shouldn’t be too surprised to discover the ugly underbelly of our hive mind. Essentially we practice the abandonment of the self in pursuit of confirmation that ‘we’ are O-bee K-bee from authorities who author blatant fiction before changing their water into wine. Who really wants to walk waist deep into the cesspool our society has become and accept responsibility? Isn’t it so much easier to let those who (‘who’ else but the sociopaths?) say they can fix it to do so rather than to face it ourselves? Well………what a fine mess we have on our hands now that ‘they’ screwed things up so badly. You can’t make this stuff up because it just wouldn’t be believable. But if the economechanical authority figures author up another alternative reality fiction and then present it as proven fact we blindly, begrudgingly or blissfully accept it until another palatable ‘proof’ proves otherwise. Especially if we wish to believe that our well being and safety depends upon believing their fiction is fact, a wonderful escape clause for those of us who outsourced our personal sovereignty long ago. When we do not actively and continuously seek our inner knowing to vet externally perceived reality we are easily manipulated into accepting all sorts of nonsense that is passed off as ‘real’ reality. While as individuals we can at times be somewhat sane, as groups we are almost always maddeningly insane. The thing is that the madness of crowds always springs from within. It is our madness exponentially amplified, reflected and directed by the crowd that is the ‘madness of crowds’ we actually see. We must stop pointing to the unsustainability of the math as proof of imminent collapse and recognize that our collective faith and belief, and the resilience of that faith and belief, is the true measure of the socioeconomic systems strength or weakness. Chapter Three to follow soon. I donno…yet. I would take some measurements, draw some sketches, ask some further questions, all to better understand the problems, and then excuse myself for 15 minutes or a half-hour to sit in my car to furiously scribble equations on my graph paper pad… Then, calculator dangerously smoking in my pocket, I would reenter the building and confidently start pointing and explaining and designing on the fly, the results of the equations providing a realistic but not exact framework (literally and figuratively) for the structural elements that were needed. The building communicated with me and I understood it by applying my toolbox of equations. The numbers were not the reality, they were the language of the reality.